The announcement took social media by storm and everyone was excited to see the life of the slain Pakistan People’s Party (PPP) leader come to life on the silver screen. However, Benazir’s daughter, Bakhtawar Bhutto Zardari, slammed the idea, saying that no consent was sought from the family for the project. “Certainly no consent from her living heirs/children was sought. Absolutely unacceptable and we will be taking action against it,” Bakhtwar wrote on Twitter, sharing the news report. 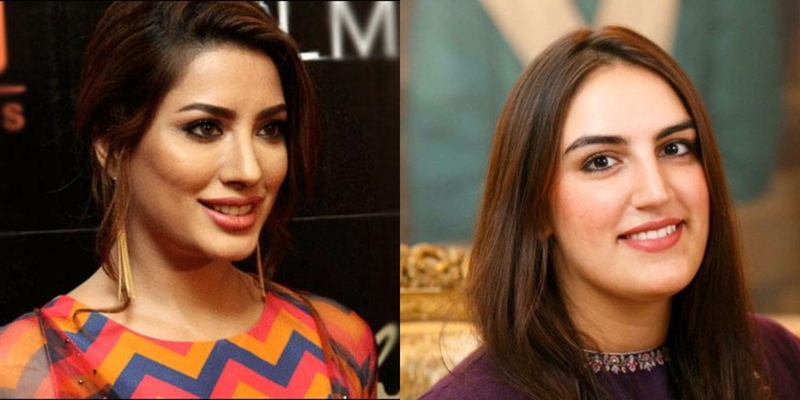 Mehwish quickly responded to Bakhtawar’s tweet writing, “To clarify rumours circulating. There is a project at the very early stages of development about your amazing mother. This cannot and will not be done without the consent or blessing of the family. I am sure that the team involved will be in touch before they progress further. “Meanwhile, as an actress, I am researching as much as I can about a real idol of mine. Irrespective of any film I would love to meet someday and learn more about her,” Hayat further wrote. “There was a time when she made women believe that almost anything was possible – she gave us hope and inspired us to reach for the stars,” Hayat added. We really do hope that the project proceeds, with the consent of all parties involved, of course.